T.H. 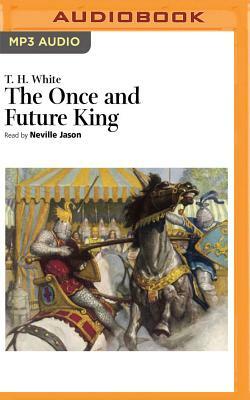 White's epic fantasy novel of the Arthurian legend, The Once and Future King. The novel is made up of five parts: The Sword in the Stone, The Witch in the Wood, The Ill-Made Knight, The Candle in the Wind, and The Book of Merlyn. It begins with Merlyn instructing the Wart (Arthur) and his brother Sir Kay in the ways of the world.